Always clean from top to bottom. Gravity carries dust down onto lower surfaces. 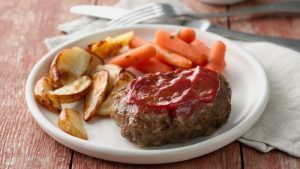 With the children back into school, everyone is looking for easy dinner options, with easy clean up. What’s easier than a foil packet dinner? Foil packet dinners have small prep times with little to no clean up. 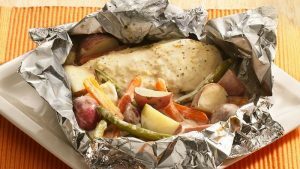 Foil packet dinners can be cooked in the oven or even on the grill. 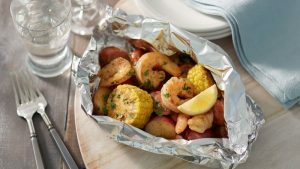 Here are some foil packet recipes to try. 1. Heat gas or charcoal grill. Cut 4 (18×12-inch) sheets of heavy-duty foil; spray with cooking spray. Sprinkle chicken with garlic-herb blend; place 1 breast on each sheet of foil. Drizzle 1 tablespoon of the dressing over each breast. 2. In medium bowl, mix remaining 1/4 cup dressing and the water. Stir in potatoes, carrots and green beans. Divide vegetables among chicken breasts. Sprinkle with cheese. 3. Bring up 2 sides of foil so edges meet. Seal edges, making tight 1/2-inch fold; fold again, allowing space for heat circulation and expansion. Fold other sides to seal. 4. Place packets on grill over medium heat. Cover grill; cook 10 minutes. Rotate packets 1/2 turn; cook 5 to 15 minutes longer or until vegetables are tender and juice of chicken is clear when center of thickest part is cut (170°F). 5. To serve, cut large X across top of each packet; carefully fold back foil to allow steam to escape. 1. Heat gas or charcoal grill. Cut 4 (18×12-inch) sheets of heavy-duty foil. Spray with cooking spray. 2. Place potatoes in microwavable bowl. Microwave uncovered on High 5 to 6 minutes or until potatoes are just tender. Add corn to potatoes; drizzle with 1 teaspoon of the oil, and sprinkle with 1 teaspoon of the seasoning; mix until evenly coated. Place shrimp in medium bowl; toss with remaining 1 teaspoon oil and remaining 1 teaspoon seasoning; mix until evenly coated. 3. Place equal amount of sausage on center of each sheet of foil. Dividing evenly, arrange potato and corn mixture around sausage. Divide shrimp evenly over sausage. Squeeze 1 wedge of lemon over each pack. 4. Bring up 2 sides of foil so edges meet. Seal edges, making tight 1/2-inch fold; fold again, allowing space for heat circulation and expansion. Fold other sides to seal. 1. Heat gas or charcoal grill. Cut 6 (18×10-inch) sheets of heavy-duty foil; spray with cooking spray. In medium bowl, mix beef, dry soup mix, egg, milk and bread crumbs. Shape into 6 loaves, 4×2 1/2×1 inch. Place 1 loaf on each foil sheet; top each with about 1 tablespoon of the ketchup. Place about 1/2 cup potatoes and 1/2 cup carrots around each loaf. 2. Bring up 2 sides of foil so edges meet. Seal edges, making tight 1/2-inch fold; fold again, allowing space for heat circulation and expansion. Fold other sides to seal. 3. Place packets on grill. Cover grill; cook over medium heat 25 to 30 minutes, rotating packets 1/2 turn after 15 minutes, until vegetables are tender and meat thermometer inserted in center of loaves reads 160ºF. To serve, cut large X across top of each packet; carefully fold back foil to allow steam to escape. Garnish with parsley. 1. Heat gas or charcoal grill. Cut 4 (20×18-inch) sheets of heavy-duty foil. In large bowl, mix beef, bell peppers, onion, seasoning mix and water. 2. Place 1/4 of beef mixture on center of each foil sheet. Bring up 2 sides of foil over beef mixture so edges meet. Seal edges, making tight 1/2-inch fold; fold again, allowing space for heat circulation and expansion. Fold other sides to seal. 3. Place packets on grill over low heat. Cover grill; cook 13 to 18 minutes, rotating packets 1/2 turn after about 6 minutes, until beef is cooked to desired doneness and peppers are tender. 4. To serve, cut large X across top of each packet; carefully fold back foil to allow steam to escape. 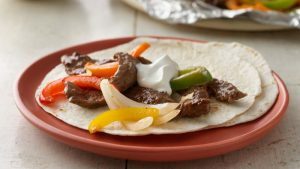 Serve beef mixture with tortillas, salsa and sour cream. 1. Heat coals or gas grill for direct heat. Spray four 18×12-inch sheets of heavy-duty aluminum foil with cooking spray. 2. Mix rice and broth in medium bowl. Let stand about 5 minutes or until most of broth is absorbed. Stir in carrots. 3. Place salmon fillet on center of each foil piece. Sprinkle with lemon pepper seasoning salt and salt; top with chives. Arrange lemon slices over salmon. Spoon rice mixture around each fillet. 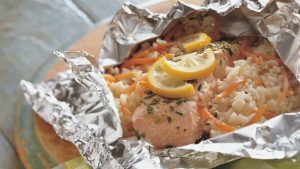 Fold foil over salmon and rice so edges meet. Seal edges, making tight 1/2-inch fold; fold again. Allow space on sides for circulation and expansion. 4. Cover and grill packets 4 to 6 inches from low heat 11 to 14 minutes or until salmon flakes easily with fork. Place packets on plates. Cut large X across top of each packet; fold back foil. For light soil on an oven door, use dishwashing liquid or a mild all-purpose detergent and hot water. Do not use an abrasive powder or an abrasive pad or steel wool. Oven shelves are usually too large to fit in the dishwasher; instead hand wash in the sink or the bathtub. Always check the manufacturer’s care manual before you begin. The type of oven you own will determine how you clean it. Self-cleaning ovens – These ovens will turn spills into a powdery, gray-ash residue that you wipe off with a damp cloth at the end of the cycle. Ventilate the kitchen during the cleaning cycle to reduce smoke and fumes in the room. If vaporized soil leaks through, use the mildest nonabrasive cleaner to scrub the oven’s door seal. Avoid scrubbing the gasket itself. Never use commercial oven cleaners, harsh abrasives, or scouring pads. Porcelain- coated racks, a feature on some ranges, can be left in for cleaning during self-clean cycle. Metal oven racks can be left in but will discolor and become hard to slide, so it’s generally recommended to remove them. If you decide to leave them in, after the cycle completes try coating the side edges with a light coating of vegetable oil to ease sliding. Non-self-cleaning ovens – Wipe up standard ovens after use with a hot, damp cloth or non-abrasive scouring pad. Clean up spills on the oven floor immediately so cooked-on food will not build up. Loosen grease by placing a cup of ammonia in a warm oven. Turn the oven off and close the oven door. Leave it sit for several hours or overnight, then wipe the interior out using a sponge dipped in hot water and detergent. For stubborn stains, use a commercial oven cleaner and a plastic scrub pad or brush. Wear gloves and be sure to have proper ventilation. Mother’s Day is a holiday honoring motherhood that is observed in different forms throughout the world, and Mother’s Day 2018 occurs on Sunday, May 13, in the United States. 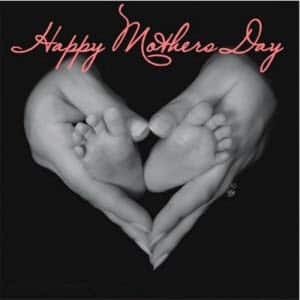 The American incarnation of Mother’s Day was created by Anna Jarvis in 1908 and became an official U.S. holiday in 1914. Jarvis would later denounce the holiday’s commercialization and spent the latter part of her life trying to remove it from the calendar. While dates and celebrations vary, Mother’s Day traditionally involves presenting moms with flowers, cards and other gifts. Once a major tradition in the United Kingdom and parts of Europe, this celebration fell on the fourth Sunday in Lent and was originally seen as a time when the faithful would return to their “mother church”—the main church in the vicinity of their home—for a special service. The official Mother’s Day holiday arose in the 1900s as a result of the efforts of Anna Jarvis, daughter of Ann Reeves Jarvis. Following her mother’s 1905 death, Anna Jarvis conceived of Mother’s Day as a way of honoring the sacrifices mothers made for their children. After gaining financial backing from a Philadelphia department store owner named John Wanamaker, in May 1908 she organized the first official Mother’s Day celebration at a Methodist church in Grafton, West Virginia. 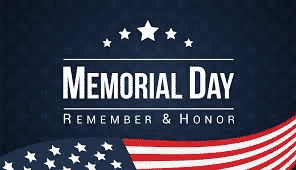 That same day also saw thousands of people attend a Mother’s Day event at one of Wanamaker’s retail stores in Philadelphia. Following the success of her first Mother’s Day, Jarvis—who remained unmarried and childless her whole life—resolved to see her holiday added to the national calendar. Arguing that American holidays were biased toward male achievements, she started a massive letter writing campaign to newspapers and prominent politicians urging the adoption of a special day honoring motherhood. By 1912 many states, towns and churches had adopted Mother’s Day as an annual holiday, and Jarvis had established the Mother’s Day International Association to help promote her cause. Her persistence paid off in 1914 when President Woodrow Wilson signed a measure officially establishing the second Sunday in May as Mother’s Day. Anna Jarvis had originally conceived of Mother’s Day as a day of personal celebration between mothers and families. Her version of the day involved wearing a white carnation as a badge and visiting one’s mother or attending church services. But once Mother’s Day became a national holiday, it was not long before florists, card companies and other merchants capitalized on its popularity. While Jarvis had initially worked with the floral industry to help raise Mother’s Day’s profile, by 1920 she had become disgusted with how the holiday had been commercialized. She outwardly denounced the transformation and urged people to stop buying Mother’s Day flowers, cards and candies. While versions of Mother’s Day are celebrated worldwide, traditions vary depending on the country. In Thailand, for example, Mother’s Day is always celebrated in August on the birthday of the current queen, Sirikit. In the United States, Mother’s Day continues to be celebrated by presenting mothers and other women with gifts and flowers, and it has become one of the biggest holidays for consumer spending. Families also celebrate by giving mothers a day off from activities like cooking or other household chores. At times, Mother’s Day has also been a date for launching political or feminist causes. In 1968 Coretta Scott King, wife of Martin Luther King Jr., used Mother’s Day to host a march in support of underprivileged women and children. In the 1970s women’s groups also used the holiday as a time to highlight the need for equal rights and access to childcare. Wipe a bowl out with a nonabrasive pad or cloth dipped in warm, sudsy water. Rub until food particles are removed, and dry the surface immediately. Never soak a wooden bowl in water, put it through the dishwasher, or leave it in direct sunlight. If the wood appears to be dry, rub in some vegetable oil; to season it. Use a paper towel to remove the excess.